Compliance doesn’t have to be difficult or expensive. However, not taking the necessary precautions that are involved with becoming compliant is a very expensive risk to take as a business or healthcare facility. Nobody wants their customer credit card data to get hacked or thinks their practice will be subject to patient health records breached and sold on the darknet, but if it happens to your business you can be sure you will wish it hadn’t. The cost of a breach can mean huge fees, bad publicity and possibly cause you to go out of business. Customers and patients are getting smart about doing business with companies that are compliant. And rightly so! Their identity, money, safety are all on the line. It’s better if you let A Better Choice Network Solutions help you identify areas in your business that are out of compliance than to have the authorities that can penalize your business, even close your doors, to formally identify those areas to you. At A Better Choice Network Solutions, we take privacy and security very seriously. You can rest assured that we confidentially work with your company to meet compliance standards. We guide you from start to finish to make the process as painless as possible, and keep your business compliant through the year to make your renewals a breeze. Knowledge is power, but when it comes to your network, you probably have no idea how vulnerable you are to internal (i.e. employee theft of data) and external (i.e. hacking or malware) threats. Do you know how well your I.T. team has insulated your business against those threats? For the low cost of $100 (for up to 10 computers), we can give you a comprehensive network security assessment. After an extensive review of your network, we will provide you with data showing where your vulnerabilities are. We will also work with you and your I.T. team to secure anything we find. If we find no vulnerabilities, you’ll have peace of mind that your I.T. team is doing everything right! If a solution is needed, we will give you that $100 back towards the purchase of a service or product. It’s a win/win for you and your I.T. staff. Whether you are a covered entity or a business associate that works with medical offices, you need to be aware of and follow HIPAA standards. HIPAA breaches can cost a practice or company astronomical amounts. Fines by the Office of Civil Rights (OCR) can range from $50-$5000 per file breached. If your practice is making a good faith effort to follow HIPAA and there is no negligent behavior present, it is more likely that OCR will give you a deadline to correct violations found. Our assessments are exhaustive and will analyze your network security, policies and procedures and common practices to determine your risk for a PHI breach. We will provide a full analysis and identify vulnerabilities with suggestions for correcting them. 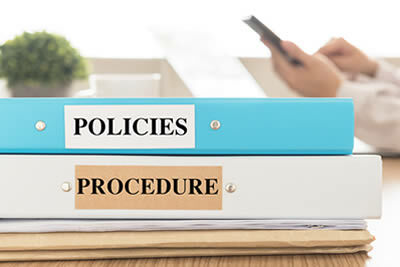 We offer HIPAA compliant solutions, employee training and guidelines for policies and procedures that comply with HIPAA. If your company takes payment in the form of a credit card number, they must follow Payment Card Industry (PCI) compliance guidelines. Securing the credit card data of your customers on your network is of paramount importance. Failure to do so can result in the suspension or removal of your ability to take credit card payments. Even worse, many companies like Target have suffered damaged reputations and lost significant revenue because of well publicized breaches. Our PCI assessment will provide you with the tools you need to properly secure your network against breaches. For network security assessments, no contract is needed. For HIPAA- and PCI- assessments, a contract is necessary. The reason for the contract is to protect your practice and mine, to outline the expectations and limitations of the assessment, and to provide access of our staff to your business. For HIPAA, we’ll also need to sign a business associate agreement for us to assess the security of your PHI. Does your remote support include regular HIPAA- and PCI- assessments? If your business needs these assessments, we can certainly provide them as a part of your service level agreement (SLA). Recently, IT companies that are business associates to medical offices have been found to be negligent in HIPAA breaches when their client was found to be non-compliant. For that reason, we highly recommend that you follow the HIPAA law. You also need to have the prescribed number of HIPAA assessments (based upon the number of staff members you employ). Can we get a certificate showing that we are compliant? We are happy to provide a certificate showing that a compliance assessment was completed on a certain date. Results will be provided to you showing any vulnerabilities that are found as well as any recommendations that are made. A compliance assessment cannot predict the future, however. Rather, it only provides you a snapshot of how you are performing at a certain time. Any subsequent assessments can demonstrate improvements in your ability to secure your protected data. How much does a compliance assessment cost? The cost of compliance assessments varies depending on the size of your business, and how many computers you have. Additionally, it is dependent on the amount of time it will take to fully assess all aspects of your practice. A HIPAA- and PCI- assessment entails more than just cyber-security. It also reviews physical security, business practices, and policies and procedures. We offer a free consultation to demonstrate why we are A Better Choice! We put together a HIPAA and Cloud IT guide for your healthcare practice. Let us do a Compliance Assessment, Today!